Each CONS3RT cloudspace has two networks by default, each with a class C (/24) address space. 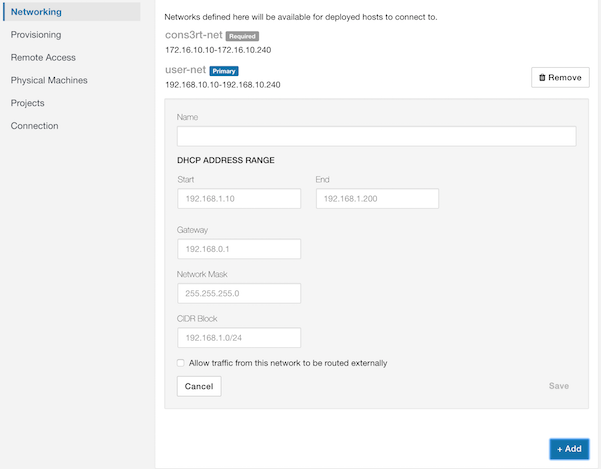 One network is called cons3rt-net for use by CONS3RT for provisioning, asset installations, remote access, and services like the yum repository. The other default network is called the user-net, for use by you for systems-to-system communication, and for Internet access. 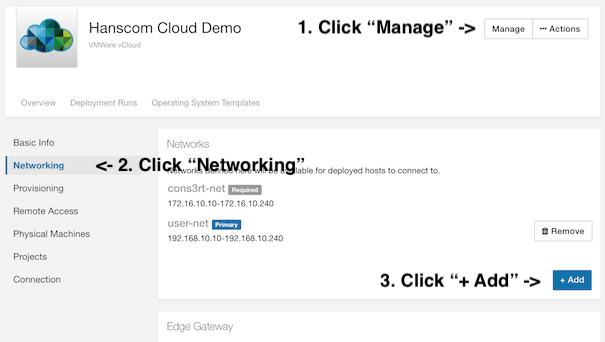 Team managers can add custom networks to Cloudspaces they manage. 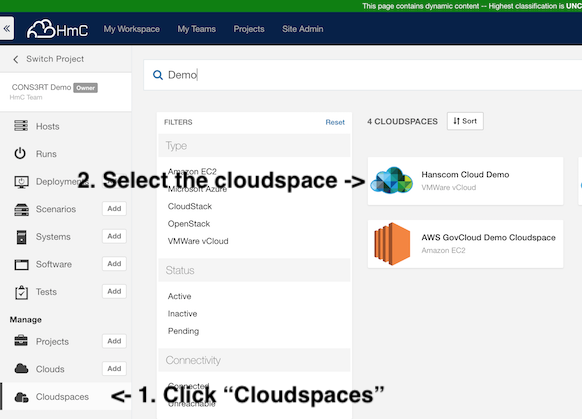 First, select cloudspaces in the navigation column on the left and then find the cloudspace you would like to configure and select it. Next, click the "Manage" button and select "Networking" in the left column. Finally, add the new network by clicking "+ Add" and filling out the networking details. 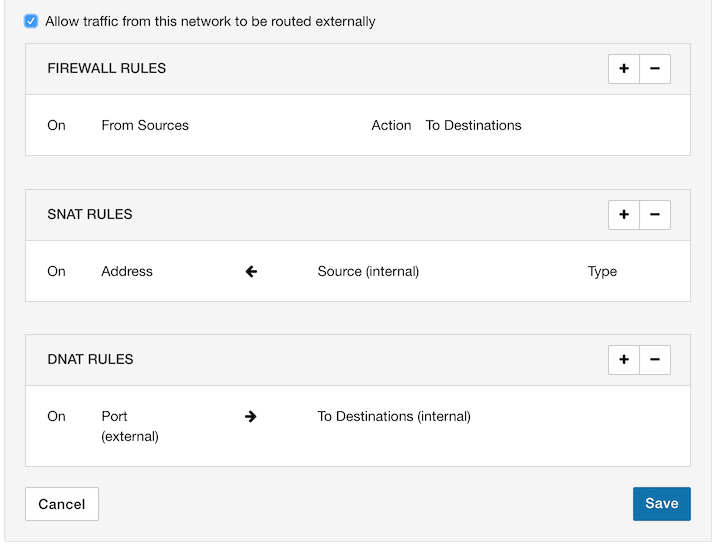 If you select Allow traffic from this network to be routed externally, you will have the option to configure firewall, SNAT, and DNAT rules.